Gift Certificates make an ideal year-round gift for any special occasion. 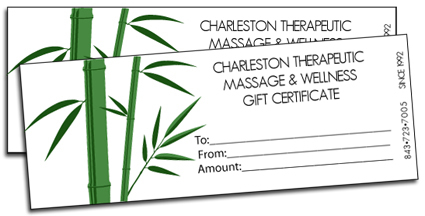 Gift certificates can be purchased at our location, by phone, or instantly online. It’s so easy! Call us to have a personalized gift certificate promptly mailed and sent to you or the intended recipient. Customize your personalized gift certificate, preview it and print or email INSTANTLY NOW! Choose from designs for every occasion. It’s great for last minute gift giving emergencies.